What is a Retrofit Terasaki 0.4 kV? Do you know how to replace old switchgear in a limited time? 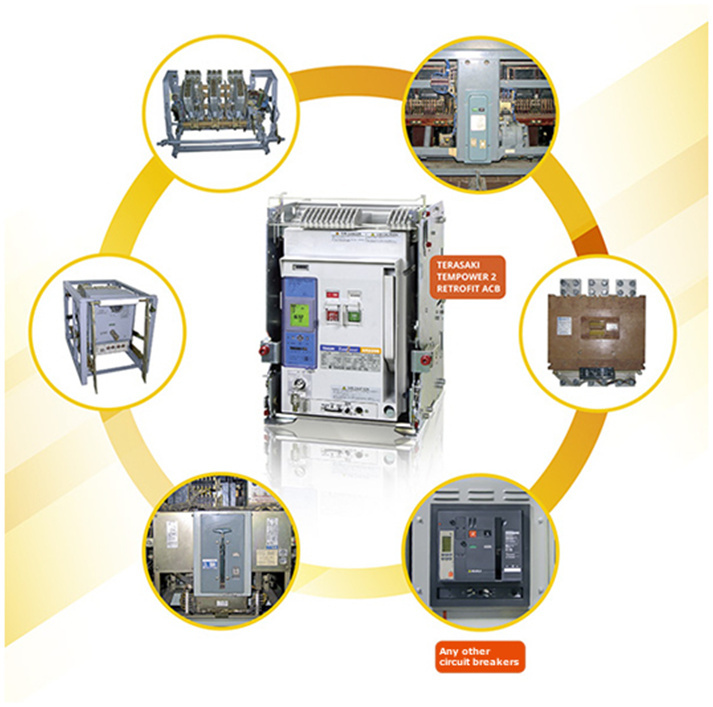 When installed switchgear becomes obsolete, but you cannot afford shutting down the main power supply for a long time (required to change the whole panel boards) you have an option: use Terasaki Retrofit Solution. In this Case Study you can see an example of a perfect solution for obsolete distribution equipment in one weekend's time. The main electrical incomer to Royal Bank of Canada’s UK headquarters in London was tripping spuriously and engineers became worried that a sudden and complete failure of the power supply could result. The faulty device, a Merlin Gerin DA 4000 ACB, was obsolete and irreparable. 26 other Selpact and DA 4000 ACBs in the switchboard were also obsolete. Engineers had permission to shut down the main power supply for only one weekend – not long enough for the switchboard to be replaced or for any modifications to be made to the copperwork. What they needed? А retrofit solution. The Terasaki TemPower 2 retrofit ACBs were designed to match the connections and mountings of the existing ACBs exactly. There was no need to modify the switchboard and all 27 ACBs were replaced safely and quickly. What is a Retrofit? Retrofit 0.4 kV – this is the replacement of obsolete circuit breakers to modern devices using a standard adaptation kit for increase the functionality and reliability of switches and their protections, without change compartment and busbar low voltage switchgear, with no building works. Retrofit available for withdrawable and fixed circuit-breakers, for rated currents from 20A to 6300A.